There is nothing as satisfying as eating a well prepared meal. At Akbar’s Own, we take that notion serious and implement it to the fullest. We are the best tandoori restaurant that offers the best when it comes to tandoori dishes. 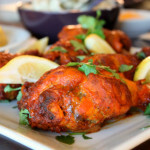 Here is why we offer the best tandoori dishes in the whole of Vancouver. When it comes to tandoori breads, we are known to prepare the best Plain Naan which is a must have for every meal. That’s not all, our affordable Palak Paneer Naan stuffed with spinach and cottage cheese will water your mouth. We get numerous orders every day for Tandoori Roti, one of our cheapest wheat bread stuffed in tandoor oven. Being one of the highest consumer rated tandoori restaurants in Vancouver doesn’t come easy. It means everything we do is up to the customer’s satisfaction. Our Tandoori Sizzlers keep customers coming for more. If you love Chicken Tikka then you will love eating at Akbar’s Own. 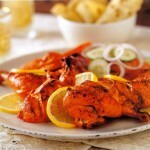 Who doesn’t love the assorted grilled pieces of tandoori chicken, lamb tikka, tandoori prawns and fish tikka? Nothing tastes best than a meal prepared using the traditional methods. Since we are a family owned and operated restaurant, we use traditional recipes and ingredients to prepare tandoori in the best way possible. The methods used have been passed from generation to generation. This is the reason why our tandoori are unique and cannot be found elsewhere. This is the right time to give your family a treat. There is no better way to do that than paying a visit at Akbar’ Own restaurant. Try out our very special tandoori dishes and you will love it.